There was a time when my life came crashing down and all I wanted was an Answer from God/Source/Higher Self by whatever name you personally use. In 1998 I went from actually praying to die to having a whole new lease on my life within five minutes as I received the answer I needed. From that moment on my life began to skyrocket and I want the same for you. You may not be praying to die or perhaps you truly want and need REAL answers and solutions to the circumstances in your life. It is my honor, my JOY, and my mission to teach YOU exactly how to receive the answers you need that you will be able to receive for the rest of your life 24/7 at any time. I have just opened registration for a completely custom five week live and deeply personal training intensive where all of the training pours through me from God/Source/Creator/Higher Self. This intensive and all of the information you personally receive that pours through me for you is a complete life changer. So life changing that there is no other live global intensive on Earth that teaches you exactly how to receive the Highest perspective, the deepest truth, the answers that shift your whole paradigm within minutes and this process is already built into you and every human being on earth. This is the pinnacle of spiritual awakening and life transformation. This is a group intensive held globally via phone for five consecutive Saturdays beginning Saturday April 27, 2019 and the four remaining live sessions are held on Saturdays May 4, 11, 18, and 25, 2019. Each Saturday Session is held at 12 Noon Pacific, 3:00 PM Eastern, 8:00 PM UK Time. The duration of each session is from one to two hours. This is a live global intensive so you can call in from anywhere on earth to be a part of it. It is extremely important to me to answer your personal questions during this intensive. The answers literally pour through me from God/Source/Creator/Higher Self for you. I have created this 5 week live custom training intensive to be affordable. Tuition is $250 US for the entire five week live personal training intensive. Fully secure payment and registration is made via fully secure PayPal. Once your registration is paid your seat is secured for the full five week intensive. You will receive a reply email from your PayPal registration that will give you the telephone number to call and your personal access code to enter each session. People do share extremely personal circumstances during the intensive. It is for that reason that recording of any kind is strictly prohibited and your information is completely confidential! You can use this pure process of receiving Answers from God, Creator, Source, Higher Self for ANY circumstance in your life such as how to peacefully resolve a conflict with a loved one. Find out the best thing to say to anyone you want to communicate with even by email. Bring through your book, song, screenplay, receive the cure for a disease, and any answer you truly want from the bottom of your heart. Space is limited and I am not sure when I will be offering another five week intensive like this one. Do you want to skyrocket in your life? Do you need answers and solutions that you have not yet been able to figure out on your own? Do you want to be authentically empowered for the rest of your life to receive EVERY answer you need from God/Source/Creator/Higher Self? If your answer is YES this is THE most profound, pure life changing intensive on Earth. My subscribers from 191 countries swear by this and SO WILL YOU! I look forward to being of the most positive, ethical, pure service to you. This intensive is as custom as your fingerprint. You will LOVE being so empowered, grow to your highest heights spiritually, and soar on all levels of your life as you truly deserve to. Click on the fully secure registration button below to secure your seat now. I’m thrilled to make the most positive difference in your life and to know that YOU are SKYROCKETING! See what time it is in your time zone. Reference 3:00 PM New York, USA Eastern Time to see your start time for this 5 week live intensive. A Few Letters from People Who Experienced this Pure Service. If you are seeking a wonderful spiritual mentor I would highly recommend making contact with this very enlightened being called Barbara Rose. She is a true gift to humanity and a very treasure friend who leaves footprints on my Soul.You are certainly born to inspire humanity Barbara! May the angels enfold you in their wings of light and you be blessed each and every day ^i^Your friend, Gail O’Keeffe. Dearest Barbara,The writing intensive is such a gift from Spirit. I have known for a very long time that writing is to be one of the ways I serve others. Previously there have been inspired writing moments, but your teaching has given me a powerful way to go to that true inspiration at any time. It brings such joy & confidence to know that what is being brought thru is coming from Divine truth.I am so excited about God’s gift being brought thru me for others!What you are teaching is so powerful & yet so easy.Thank you for sharing.P.S. I am amazed at the healing that the writing is bringing in my own life. and anger and resentment that had been buried so deep that I did not know it was there. As that melted away, I am finding that I see life through different eyes. And I also find that no matter what happens during the day, be it “good or bad”, there is this little core of joy inside of me that does not go away, it is like a little candle that is burning, and I like it so much that I am going to work on making it burn brighter — it has caused me to start speaking my truth — to not be silent when something happens that doesn’t work for me — the flame just burns a little brighter each time. 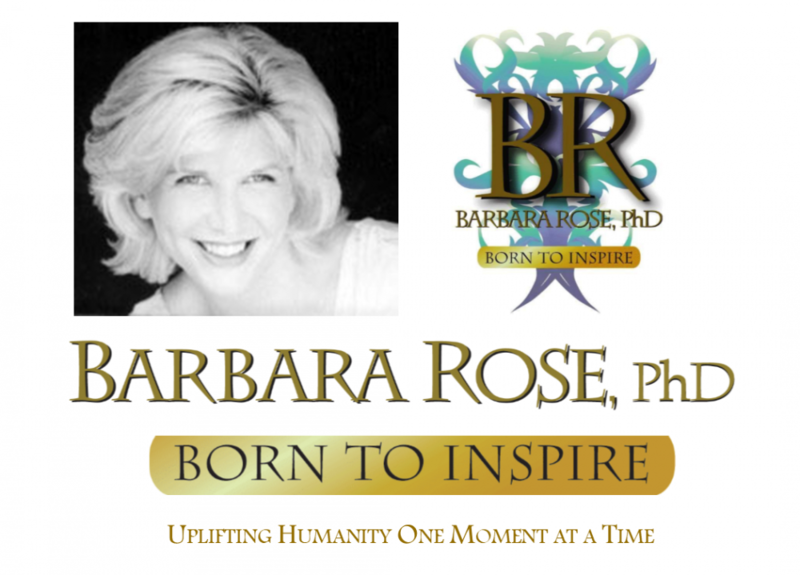 Since 2000 Dr. Barbara Rose has provided this service to people from all walks of life, countries and cultures. Her service has helped Government Leaders, Ministers, Doctors, Celebrities, Lawyers, NASA Scientists, Sports Athletes, Rock Star Musicians, Feature Film and Television Talent, Teachers, Stay at home Parents, Priests, University Heads, World Leaders, Royalty, Life Coaches, Artists, and more. Click here to View what people from across the globe share about this service from the bottom of their hearts. All letters are pure and authentic. This entry was posted in Browse Higher Self Communication, Browse Pesonal Growth, Browse Spirituality, Upcoming Live Events and tagged Barbara Rose PhD, Higher Self Communication Live Training Intensive, How to receive answers from your Higher Self, how to receive answers frrom God, If God Hears Me I Want an Answer!, Is he or she cheating on you receiving answers from God will let you know the truth, Receive answers from God/Source/Higher Self for the rest of your life, stop being the string along, Suicides Deterred from people receiving answers from God, The pinnacle of spiritual growth is receiving answers from God/Source/Creator/Higher Self by Barbara Rose, PhD |Born To Inspire | Bestselling Author| Life Transformation Expert. Bookmark the permalink.